Q. What cards do you handle? A. We handle incoming cards for sixth district USA call signs only. We do not handle outgoing cards. We do not handle incoming cards for any other USA district or country. Note that KH6 and KH7 are Hawaii, and KL7 and KL8 are Alaska. Cards for these areas are handled by their respective bureaus and not by this one. Q. How do I get my cards from this Bureau? A. You must have SASEs on file with us. You may purchase them from us (preferred) (be sure to include mailing labels with your address printed on them) or send your own. If sending your own, they must conform to our specifications. See our home page for details. Q. How often do you mail my cards to me? A. That depends on several factors. During sunspot lows, we receive fewer cards and therefore make fewer mailings. During sunspot highs, we receive more cards and make mailings virtually every month to anyone that receives four or five cards or more each month. Please note that the Segment Sorters are providing a voluntary service. Their personal and business life may temporarily interfere with normal mailings. With any and all QSL Bureaus, patience is a virtue. If you are in a hurry to receive a DX QSL from a particular station, consider QSLing direct with SASE or SAE with IRCs or green stamps as appropriate. Q. Do I have to be a member of ARRL to receive cards from the Bureau? A. NO! Any Sixth District USA amateur radio operator can receive cards from this Bureau by keeping SASEs with us. You do not have to be a member of ARRL! There are however, many other benefits of being a member, so we encourage you to consider joining and maintaining membership. Q. I am not an amateur radio operator but rather a SWL. Can I receive cards from this Bureau? A. No, sorry, we do not handle incoming cards for SWLs. 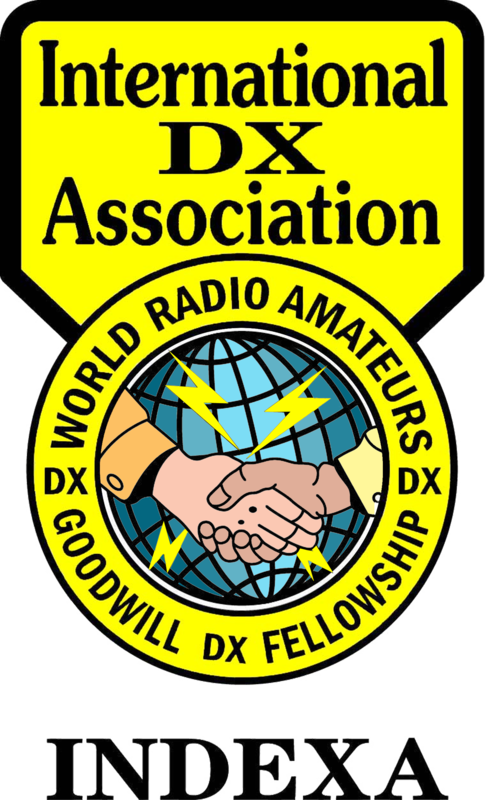 We do deliver incoming DX SWL cards to Sixth District USA amateurs but we do not forward cards to SWLs. The ARRL has a separate Bureau for SWLs. You may find information about it at the ARRL web site. Q. Do you handle USA to USA cards? A. No, sorry, we handle DX to USA 6th District cards only. However, USA based QSL managers for DX stations may send us cards because those cards are from DX to USA 6th District amateurs. Q. Sometimes there is a delay between the time I send SASEs or funds and the time there is an update to my account on the web site. And sometimes my check takes quite a while to be posted at my bank. Why is that? A. Your mail goes to the main office of the Sixth District Bureau. From there, it is sorted, processed and prepared for mailing to the Sorters. In times of high sunspots, this usually happens monthly. In times of low sunspots, this happens every 2-3 months, sometimes longer. It is at this point that your check is deposited at our bank. When the Sorter receives the package from the main office of the Bureau, he or she further sorts the cards and envelopes, processes them, mails SASEs to those with 4-5 cards or more, and forwards an updated report to the webmaster. This step occurs within a few days or up to a few weeks after receipt of a package from the main office. Remember, Sorters are volunteers and they may be busy with work or family and require a little extra time to process the package. Next, the webmaster processes and posts the new report to the web as time permits. This usually occurs within 24-72 hours of receipt of the report but on some occasions could take a little longer. (The webmaster may be away on business or vacation, you know?) So, remember, "patience is a virtue". Note that your check is processed by our main office and not by the Sorters. Never-the-less, you should feel free to email us an inquiry if you are curious about an unusual delay. Q. Can I pick up my cards in person? A. No, sorry, we are not in a position to accept visiting amateurs or receive phone calls. We do not have a public storefront or office. Our Sorters and Volunteers operate from their homes. Please respect their privacy. Q. I recently moved from another call district. That Bureau had slightly different rules. Why? A. Each of the ARRL Incoming QSL Bureaus operates under general guidelines set forth by ARRL. However, some minor variances in rules do exist. Carefully read and abide by the rules of the relevant Incoming QSL Bureau. Q. Who staffs the Sixth District QSL Bureau? A. This Bureau is staffed by over two dozen non-paid volunteers, some of which have been with us for more than two decades. They happily volunteer their spare time to sort cards, track funds, stuff envelopes and mail cards to hams. It is not unusual for them to receive hundreds or even thousands of cards in a package. They spend many hours carefully processing your cards and envelopes. They enjoy sending you that "new one" that you've been waiting for! Our volunteers always appreciate hearing from you. Feel free to send them a note at any time.